A few years ago when my life coach told me that I was more motivated (into action) by pain instead of by pleasure, I was taken aback. Suddenly, I began to resent the fact that I don't take massive action unless I'm trying to avoid a consequence. I wanted to be one of those self motivated people that just wakes up everyday and charges directly towards their goals. I wanted so badly to change this aspect of me. But doing so proved unsuccessful. So I've decided to stop resisting and leverage this "strength" head on. If I instinctively respond more to avoiding pain than to achieving pleasure then I would own it and use it to my advantage. There are things in my life that I wish were different. Then there are things that I WANT to be different. The things I WANT to be different cause a higher level of "pain." Before, whenever I was dealing with an undesirable situation, I would just complain about it. Complaining is like taking an aspirin for an open wound. The pain might be dulled, but the bleeding is still there. My new strategy is to deal directly with the source. Meaning whenever I have a "bad day" or I'm experiencing something I wish were very different, I take MASSIVE action towards making the situation different. For example, you can come home and complain (once again) about your boss or you can use that same energy to send out 50 resumes or start your own side business. Let's say you already have a side venture, but results aren't what you expected. You can give it up and declare yourself a failure or you can do something outside of your comfort zone to create new results. It's quite simple really. 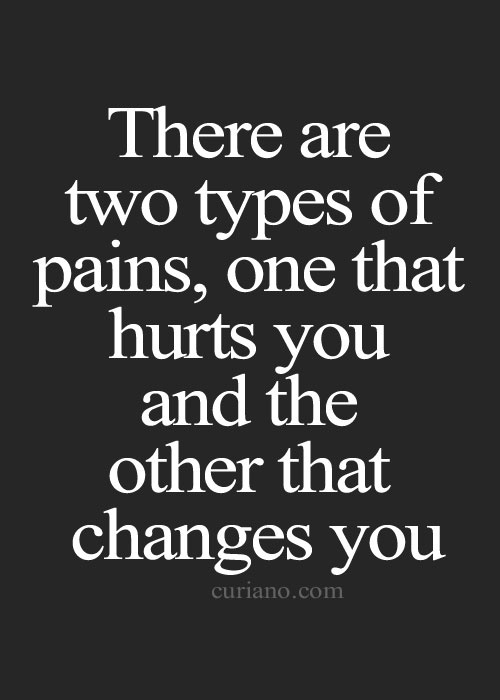 Just use whatever causes you pain as a trigger for the action needed to transform the situation. Had one of those days where everything you tried on didn't fit right? Take out your frustration at the gym. Can you imagine how quickly you can turn a situation around if you used this method consistently? Whatever you do, don't let those valuable feelings of frustration go to waste. That stuff is grade A fuel for powerful action. And please, stop allowing feelings of frustration to make you do things that will make you feel even worse. All that does is perpetuate the cycle of dealing with unwanted situations. Be honest with yourself, do you want to keep experiencing the same problems over and over again? No? Then next time you have a bad day, do something different to turn that situation around. Like I always say, very on-time. Needed this post! LOVE THIS!!!!! SO true! Instead of being caught up in the cycle of frustration - complain - frustration, we should reinvent the wheel. Focus should be on frustration - action - growth - less frustration. Really needed this reaffirmed! Love your blog!